As a child I was soft-spoken and shy. Although my grades were good, I was far from the star of the class, and frequently blended in with the general mass of my small rural high school. My high school biology professor, Mr. Burke, seemed to recognize my struggles and sought to pull me out of my shell. “Speak up, Squeaky!” he would say as I stuttered over an explanation of photosynthesis. While in most other cases one may find a weird nickname disparaging, my classmates knew to be called something other than your given name was a high compliment in Mr. Burke’s class. Nearly better than an A, this recognition was the sign of respect by our high school’s best teacher. When he gave you a nickname, you knew you were special. My enthusiasm for biology was only surpassed by my passion for photography, and I vividly remember the day Mr. Burke showed me his camera collection. As faculty leader for our yearbook, he was in charge of all photography and had the most amazing cameras I had ever seen! He had German Leica SLRs, mid-range and large format cameras—classics in a time that stands in stark contrast to photography in the age of smartphones and digital images. Part of Mr. Burke’s character as a teacher was his devotion to cultivating passion in his students. He did not separate the sciences and humanities, but taught us the appreciation of beauty as we navigated complex biosystems while gently uncovering the mathematically based zone system that guides film exposure and developing. He reminded us that a darkroom lab is just another version of a chemistry lab, and the analytical observations that cultivate creative expression in photography can be applied to create a deeper understanding of nature. We who were his students marveled at the chemical interactions when the darkroom revealed the differences in acids and bases at the same time a beautiful image emerged on a print as it passed from developer to stop to fixer in the darkroom. He taught us the art of knowing the sciences and the beauty of understanding nature. But perhaps even more profoundly for me, he knew that my love of photography did not have to take a back seat to my academic aspirations for biology and healthcare. He knew that photography would not only teach me to see the world and other people, but would also give me a sense of self that would build my self-confidence and create a foundation to finally find my voice, in a way that only the creative expression can do. As I was contemplating the topic of this editorial, I learned that Mr. Burke passed away this week, March 21, 2017. And so it seems fitting to pay homage to educators who blur the lines of arts and sciences as they reveal the true interconnections which drive both innovation across fields, and also a deeper meaning individually within ourselves. In this 5th edition of JHR, we share wonderful examples of the type of educators who would do Mr. Burke proud. Sue Klappa and colleagues discuss how visual art projects were used in their graduate program to gain a deeper understanding of how physical therapy transforms society and improves quality of life for patients. In an incredibly compelling project exploring experiences of war photojournalists, University of Toronto Professor Anthony Feinstein raises our awareness of the toll this difficult work takes on the individuals who serve as witnesses and historians of human conflict. Professor of English and MacArthur Fellow Laura Otis takes us into the makings behind her book, Rethinking Thought, wherein she explores the differences in the way we think and process information and provides us lessons for approaching our patients to maximize learning. Australian data and quality specialist Michael Leach uses poetry to explore the tumultuous life and art of Frida Khalo. From the clinical perspective, rehabilitation psychologist Joyce Fichtenbaum and physical therapists Regina Kaufman and Mary Pugh Alligood each provide their own thoughtful narrative reflections on meaning-making after life-altering illness. David and Linda Lackey join with their occupational therapist to share their moving story of how photography provided an avenue to create meaning out of the rehabilitation experience while providing a healing environment for others. In our Poet in Profile series, English doctoral student Joe Fritsch provides an introductory look into the complex visual poetics of Larry Eigner (1926-1996), a poet with cerebral palsy, who developed his artistic practice over a lifetime. For the Historical Perspectives in Art series, fourth year medical student John David Ike explores Toulouse Lautrec’s physical disability and its impact on his art in fin-de-Siècle Paris. Finally, we are excited to share vintage video footage from the first World Confederation of Physical Therapy (WCPT) Congress in 1951, along with an interesting historical reflection tracing roots of PT professional identity to distinct cultures and practices from around the world. We are honored to welcome three distinguished journal editors to join our JHR editorial board consultants. Therese (Tess) Jones, PhD is the Associate Director of the Center for Bioethics and Humanities and Director of the Arts and Humanities in Healthcare Program at the University of Colorado Anschutz Medical Campus. As the editor of the Journal of Medical Humanities she is recognized as an “international trailblazer for the health humanities”. Rebecca Craik, PT, PhD, FAPTA, Dean of the College of Health Sciences at Arcadia University and previous Editor-in-Chief for Physical Therapy (PTJ) has received numerous awards for her work in education and research, including the 2005 Mary McMillan Lecture award for outstanding contributions to the field of physical therapy. 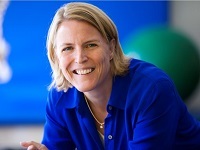 Jan Reynolds is director of scientific communications at the American Physical Therapy Association and has been the managing editor of PTJ since 1996. Dr. Jones, Dr. Craik and Ms. Reynolds provide a wealth of experience and wisdom to our board. Thank you for joining us and we hope you enjoy this issue. If you are interested in submitting your work to JHR, please review our Submission Guidelines and Frequently Asked Questions sections. If you are considering being a reviewer, please contact Dr. Sarah Blanton: follow the Contact link, indicate the content area you are interested in reviewing and attach your CV.